Tea Party Girl wants to introduce you to the most important yet often ignored ingredient of a successful tea event. 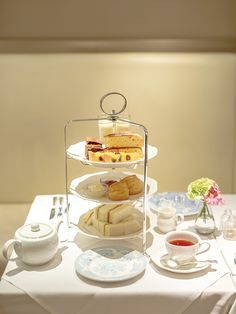 Since entering the business of teaching afternoon tea in 1997, I’ve become surprised how often an afternoon tea party is planned without thought to the beverage that will be served, the tea! I believe this is because so many Americans have never experienced the properly brewed cup of loose-leaf tea. After all, the majority of tea sold in American grocery stores isn’t tea at all, but the dust and fannings of herbs. Others try to add green tea to their daily life for their health but only find it tasteless, or worse bitter. Yet tea is the second drunk beverage in the world and has been for millennium. 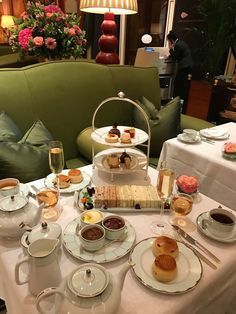 What was so special about tea that the Chinese kept it secret for 3000 years, wars were fought over it, the Clipper Ships invented to trade it, and the colonists suffered to boycott it? 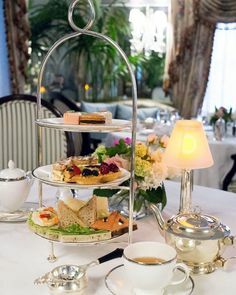 As Tea Party Girl helps you plan your afternoon tea event, we will start with what is meant to be the main attraction, the properly brewed pot of tea. 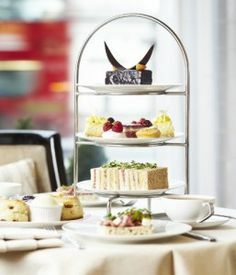 If you brew loose-leaf tea for your afternoon tea event, it will take your event to a whole new level. I guarantee drinking tea will not sacrifice but add to your desire for rich flavor. Let me show you how. First, did you know that one pound of tea leaves provides 200 cups of tea? A typical tea like Anne Shirley’s Almond Black, sells for $7.50/4 ounces, or $30 per pound. At first glance, this might seem expensive, yet $7.50/50 cups equals only .15 per cup. Now consider grocery store tea bags. While the cost may seem similar, the most important factor to remember when purchasing grocery store tea bags is what you are receiving for your money. Grocery store tea bags include what is called “dust and fannings”. 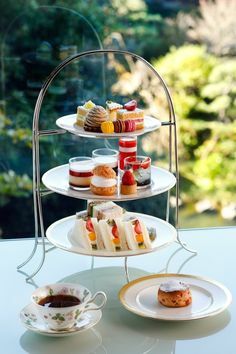 If it is tea at all (remember, herbs are not from the tea plant, camellia senensis), it is considered the lowest grade of tea leaf available, manufactured for a quick, but low quality release of flavor. It’s also important to know that tea quickly loses it flavor when exposed to light, moisture, or heat and absorbs near-by flavors. Rarely are tea bags stored with care and often sit in our cupboards for years on end next to the spices! Not if it comes from a quality product, with decent water, and brewed correctly. The following information about brewing loose-leaf tea comes from Teaching Tea with permission, authored by Anne Evans. Anne is a certified tea consultant having completed on-line course work with a qualified tea educator. She has also finished level one of the Specialty Tea Institute classes with plans to continue her training some of which she receives annually from well known tea experts at the World Tea Expo. Successful tea making is as much an art as it is science. That is to say, while there are some guidelines, the fine points of how much leaves and water for how long a brewing time are left to personal preference and experimentation. There are many tea brewing charts available in books and on websites, but even the best ones don’t cover all the exceptions. For all tea types- loose or in bags- the guidelines below are widely accepted. 1. Since tea is almost entirely water, it’s important to use non-chlorinated water of the best quality you can obtain Filter the water if necessary, but do not use distilled as tea needs some minerals from the water to enhance its flavor. The water should be fresh and cool, not previously heated or hot from the tap. Cool water has more necessary oxygen than hot. 2. Tea is at its best with proper storage. This means that it has been kept in a closed container that does not let in light or moisture. Keep tea in a cool place, but not the refrigerator or freezer. Tins are ideal. I buy mine to match the tea to be stored- a white tin for white tea, a red one for rooibos tisanes, a plain black tin for non-flavored black, a black tin with a design for flavored black and so forth. Tea is very good at taking on the scents of other items nearby. Keep that in mind when deciding where to store your tea. 3. Small metal infusers that are so commonly available for tea making crowd the leaves and do not let them unfold to release their full flavor. This is one reason for not using prepackaged tea bags. Instead purchase disposal bags that are made for filling with any type of loose leaves. There are cup-size stainless steel infusers and also china infusers that are sold as part of many styles of teacups and teapots. These work well, as do tea socks. Small tea strainers can also be used, but when black or most greens tea leaves are left in the pot, they will become bitter before the entire pot is consumed. This can be avoided by decanting the tea, which is straining the entire pot into another warmed one. A measuring cup holds 8 ounces of water while a teacup holds approximately 6 ounces. Use one level teaspoon of leaves (or two if the leaves are very large and fit loosely in the spoon) for either each 8 ounce or 6 ounce cup as you prefer. Measure the water just as you do the leaves. Time after time directions will state to use one teaspoon of leaves for each cup of water and one for the pot. Unless you know how much water the pot holds and decide whether you want 6 or 8 ounce measures, that information is not helpful. Measure both leaves and water. Black tea is good for just one infusion. It takes boiling water, but you will find that water from electric hot water dispenser, which is not quite boiling, also makes a full-flavored cup. Three to four minutes brewing time is standard. Beyond that, black tea becomes bitter. Oolong tea at its best made in a clay Yixing pot using the gongfu method. If using a full-size pot, follow guidelines for green tea. Green tea easily turns bitter. Its water must be well below boiling. When the kettle begins to steam and little bubbles form on the bottom of the pot, the water is ready. Two minutes is sufficient for brewing green tea. Green tea stores well for less time than black (which keeps for about a year if properly stored). Purchase green tea in small amount and use within a few months. White tea is completely unprocessed and has the highest antioxidant content of all true teas. Brew it with steaming, not boiling water. White tea does not get bitter with long brewing and for some varieties is at its best at fifteen minutes. Begin with three minutes, but try for longer brews with subsequent pots. White tea can be infused several times which helps to stretch the price per pot, as white tea is often more expensive when compared with other types. Yellow tea is a rare Chinese tea, just beginning to be marketed in the United States. Pu-erh is a black or green tea that has been aged and processed, exactly how is China’s mystery. It takes boiling water and will not get bitter when it is steeped. Brew at least three minutes and try several infusions. Herb “teas” are not true teas as they have no leaves from the tea bush in them and therefore have no caffeine. They are referred to as teas because they are brewed in the same manner as a true tea. The correct term for herbal infusions is “tisane.” Herb teas include mint, lavender, chamomile, rose petal, yarrow, cinnamon and many more. Most all have some reported medicinal usefulness. They take boiling water and at least a three minute brewing time. They will not get bitter, only stronger, with a longer infusion. Rarely would this tisane be taken with milk. Rooibos is brewed from an African herb in the same manner as other herb tisanes. It has no caffeine, and gives a full flavored drink either hot or cold. It’s reported to be very high in antioxidants. This is one herb infusions that does well with the addition of milk. A cousin of rooibos is honeybush. All herb tisanes are caffeine-free and need no decaffeinating. All true teas can be easily made caffeine-free, but some flavor will be lost in the process. It’s best to decaffeinate at home unless you can be sure that the decaf tea you have purchased has no chemical residue. For caffeine-free tea, pour a few ounces of water, heated to the proper temperature for the tea you are making, over the leaves. Wait thirty seconds and then discard the water. Nearly all the caffeine will be washed from the leaves, the tea books tell us. Proceed with the rest of the tea making process. Measure cool, fresh, non-chlorinated water at 6 or 8 ounces per cup to be made into a tea kettle or pot. Add an extra ounce or two for swirling around in the tea kettle to warm it. Set on the stove to heat to proper temperature. Measure leaves into tea sock or other infuser unless planning to strain the tea or using tea bags. Measure one teaspoon for each 6 or 8 ounces of water. Set the infuser aside. Swirl an ounce or two of the heated water around in the teapot and discard it out the spout. This will prevent cracks in the pot when the full measure of heated water is added, and it will help maintain the correct water temperature as the tea steeps. Secure infuser in the teapot. Pour heated water over leaves and set timer to required steeping time. When time is reached, remove the infuser from the pot, remove the bags, or strain the leaves into another warmed pot. This is call “decanting” and is necessary to prevent the leaves of black and of green teas from becoming bitter. Give the tea a stir to even out the flavor, pour, and enjoy. Keep teapot warm with a tea cozy or warming stand. Most types and flavors of leftover tea are delicious when chilled. Used tea leaves can be put on all acid-loving plants such as roses, camellias, gardenias, and azaleas as mulch. 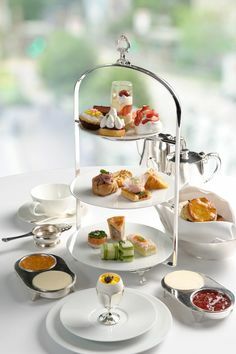 The most important ingredient of a successful tea event is the tea. Consider the drink you will serve.